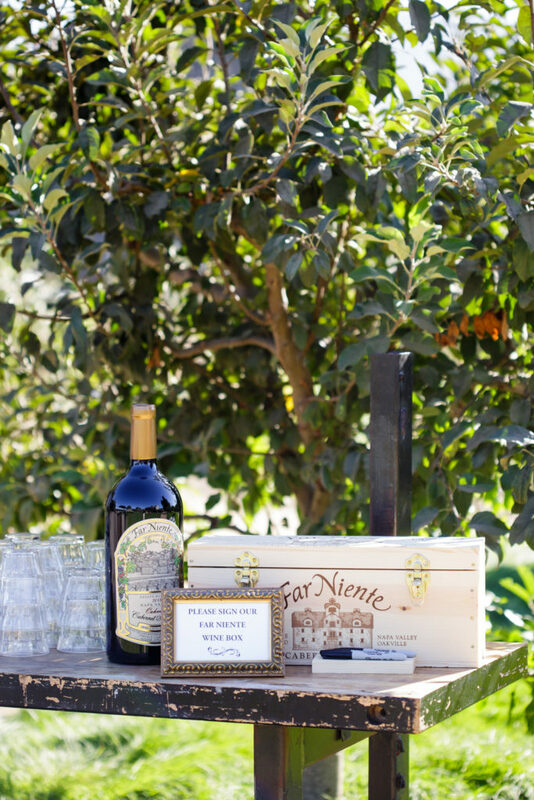 Many of our couples choose to serve organic wines at their wedding. The topic of which wine is ‘certified organic’ can be a little confusing. Many wineries practice organic farming – however they do not have their CCOF certification. This mean they are not allowed to label their wine as ‘organic’. It is however sustainably and organically produced. Basically an organic wine is made from organically grown grapes produced within the strict guidelines of organic wine processing which is reviewed by the National Organic Program. Other wineries make their wine from organic grapes, meaning that the fruit is produced without using conventional pesticides and fungicides. More frequently you will find wineries that practice sustainable farming practices, meaning that they use farming techniques that protect the environment, public health and animal welfare. Still others are ‘biodynamic’, meaning that they practice a very strict method of agriculture, which recognize the basic principles in nature and they adhere to these principles when producing their wines. According to Wine Country Getaways, the following is a list of wineries wholly committed to the practice of organic, biodynamic or sustainable agriculture. Some have their certification for organic, and some do not. All of them are focused on making the best wine possible in the most environmentally conscious way.